Specimens should be brought into the surgery by 11.30am on weekdays as the samples are collected then for transport to the hospital. Receptionists cannot accept samples that are not in appropriate laboratory containers. Please make sure specimens are clearly marked with your name. 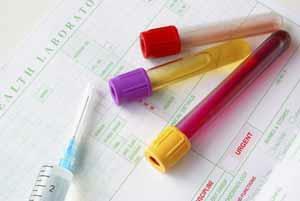 Blood tests are done at our surgery so please call on 020 8902 4792 and book your appointment. Please phone the surgery after 11.30 for all test results. It usually takes at least 1 week for the results to come through. Cervical Smear results could take up to 3 weeks or more. We usually send a text to you regarding your abnormal results to contact practice so please update your correct contact details. As soon as you change your contact details, do let us know immediately.